Mother’s Day comes in May, but Earth Day is tomorrow on 22 April. 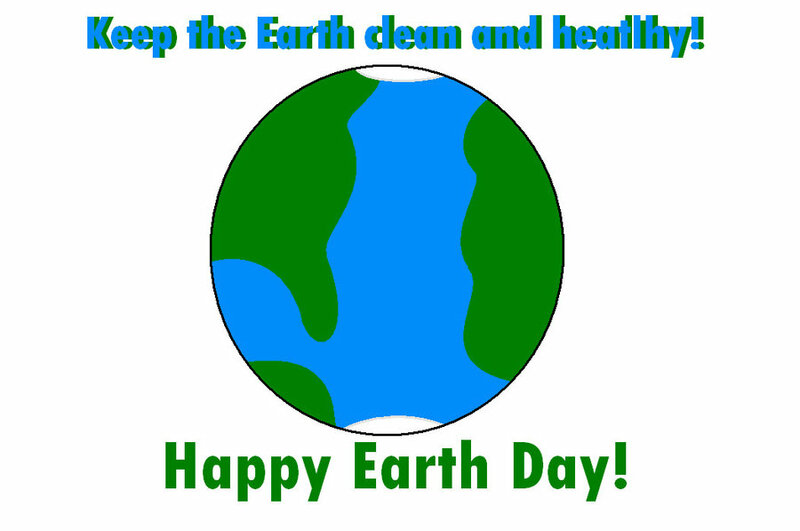 This occasion recognizes our reliance on Mother Earth and the shared resources of the earth. And just like with Mother’s Day, we should celebrate that connection more than once a year. It’s easy to ignore the connection until something goes wrong—a drought forces extreme conservation measures; a garbage hauler strike leaves mounds of stinking refuse; or pesticides contaminate drinking water and impact health. Protecting the earth is for our common good. Ultimately, the lives we save will be our own. In honor of our Mother, choose just one simple thing. For example, cut out single-use eating and drinking utensils. Instead of accepting plastic or paper, bring your own. If you have a yard, start a compost pile. If a company handles your “mow and blow,” have them setup compost in a corner. In my county, yard waste in plastic bags is treated like trash while organic matter, such as grass clippings, leaves and branches, placed in paper sacks is transformed into mulch. If you have a lawn, follow recommended guidelines for applying fertilizer and pesticides. When those toxic chemicals seep into the ground water, it can result in health issues when consumed.